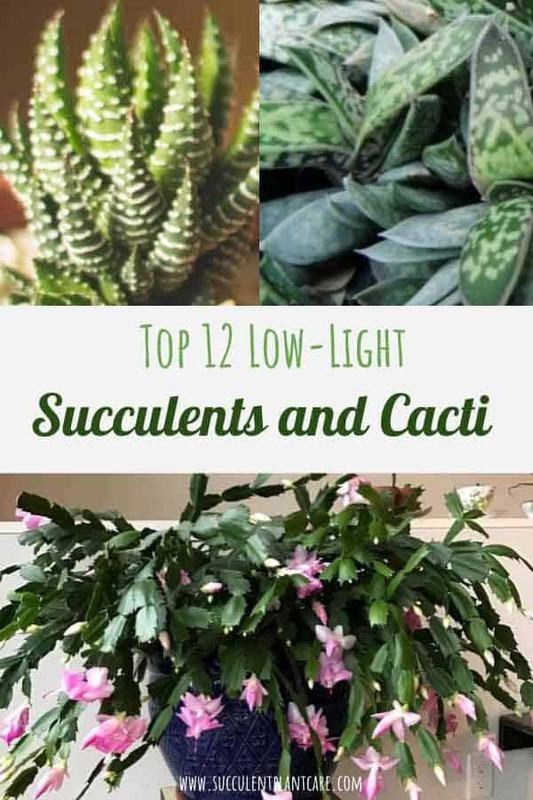 Providing adequate lighting for succulents can be a challenge especially if you live in an area that does not receive a lot of natural light. Most succulents prefer bright but indirect sunlight. Succulents are highly adaptable and some can still thrive even in the shade. If you are growing succulents and your lighting conditions are less than ideal, there are succulents that can tolerate low light. 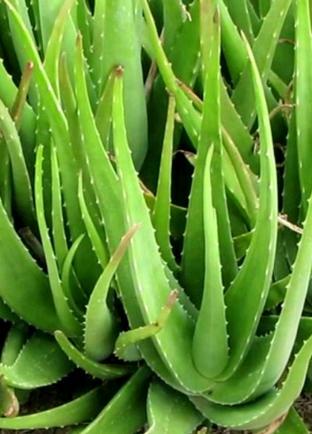 Update: We’ve added where to buy an Aloe plant in our resource page. These plants are great beginner or starter plant because they are easy to care for. In fact, my very first succulent plant was an aloe vera plant given to me by a coworker from an offshoot of her mature plant. Back then, I knew nothing about succulents. I took the plant home, repotted it, kept it in low light, and possibly overwatered it. Despite all this the plant thrived and kept growing. It produced so many offshoots and baby plants and had to be repotted more than once. I had to leave that plant behind when I moved cross country, but that was my first introduction to these wonderful plants. Gasteria got its name from the flower it produces, which resembles the shape of a stomach. “Gaster” is Latin for stomach. 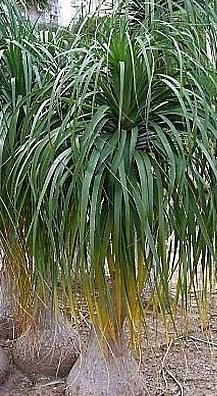 Native to South Africa, they grow in lightly shaded conditions with plenty of rainfall. They have long, thick, grooved leaves and curved, stomach-shaped flowers. 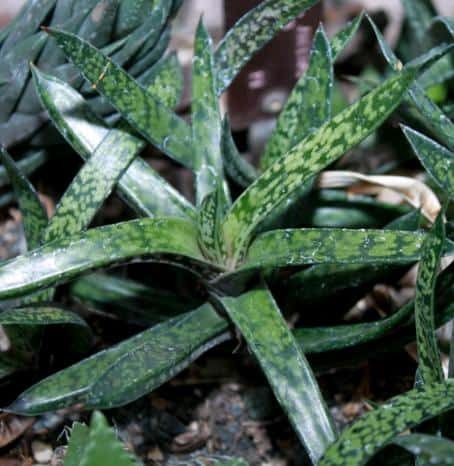 Most gasteria species have become well adapted to growing indoors, tolerating low light conditions. They also do well in hot, bright but indirect light. Most need protection from intense heat or full sun. They have become common houseplants and do well in pots and containers indoors or in shaded areas. 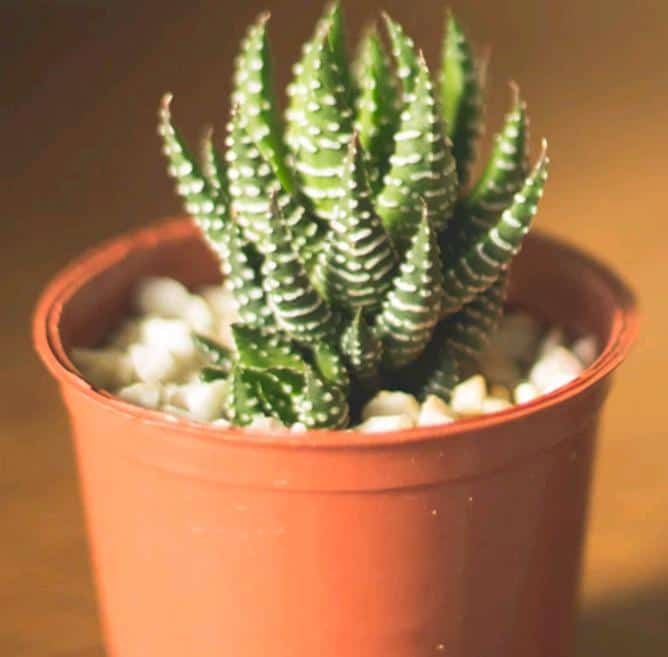 Update: We’ve added where to buy an Gasteria plant in our resource page. Native to South Africa and south-west Africa, Haworthias are a large genus of dwarf succulents. Some haworthia species closely resemble aloe vera in appearance and can be mistaken for one. Most haworthia species will grow well in low light, but will look their best in a bright, warm environment. They need protection from intense heat or full sun. Update: We’ve added where to buy an Haworthia plant in our resource page. These plants form rosettes of varying shapes and sizes depending on the species. Some form clusters and some are solitary. Most have thick roots. Many species have thick, tough, fleshy leaves that are usually dark green in color; and others have softer, plump leaves with translucent, glassy surfaces through which sunlight can penetrate for photosynthesis. Echeverias extend from Mexico south to north-western South America. Echeverias are characterized by their gorgeous rosettes with exquisite features. The rosettes vary in shapes and sizes from tight and short-stemmed or long stems with hanging rosettes. They can remain small or grow up to 8 inches wide. The leaves also vary widely, from thin to thick, and smooth to furry, and come in many different shades and colors. Due to their beauty and desirability, many hybrid echeverias are available. 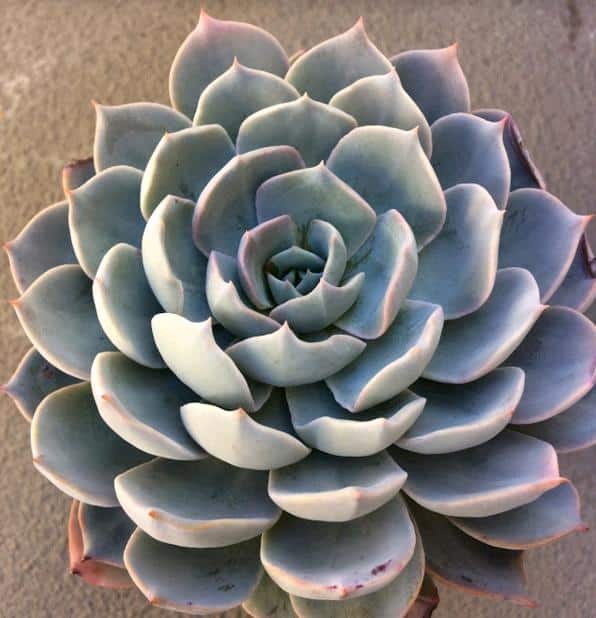 Update: We’ve added where to buy an Echeveria plant in our resource page. Echeverias can be grown in ground or in pots and containers. Some echeveria species can tolerate low light or partial shade. When kept in low light, be careful not to overwater as this can promote rot. Most need filtered bright light but need to be protected from full intense sun. They are originally from Mexico and Central America, and they are not frost tolerant plants. Rhipsalis is a cacti genus native to the rainforests of South America, the Caribbean, and Central America. Two things set rhipsalis apart from other succulents. The first thing is they are epiphytes by nature. Epiphytes are plants that grow on the surface of other plants. They get moisture and nutrients from their surroundings. The second thing that sets them apart is that their native habitat is in the rainforests. While most people think of cacti and succulents as desert plants that require bright and dry conditions, rhipsalis do not thrive in direct sunlight and very dry soil. Rhipsalis will do well as indoor plants or in those areas that receive low light. They do best with morning sun and full shade in the afternoon. In its native habitat, rhipsalis receives plenty of protection from the sun’s rays with surrounding dense, overhanging tree branches. 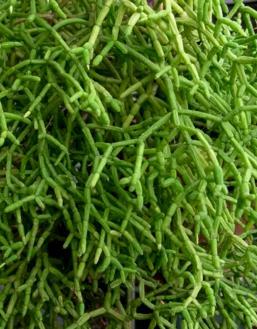 Rhipsalis is not drought-resistant and regular watering is needed. However, overwatering is to be avoided as it can cause root rot. One of the most popular rhipsalis species is the Rhipsalis Baccifera or Mistletoe Cactus. These plants require shade to partial shade and grow well indoors. Native to Madagascar, the most popular ones are small shrubs with thick succulent leaves that come in different shapes and forms. Some leaves are smooth and some can be covered in fine fuzzy hair. Kalanchoes are often used as potted plants and make great indoor house plants. They are highly adaptable and easy to grow, able to survive in low light although they prefer bright, indirect light and can even tolerate intense heat. They produce clusters of colorful flowers and blooms. Update: We’ve added where to buy an Kalanchoe plant in our resource page. 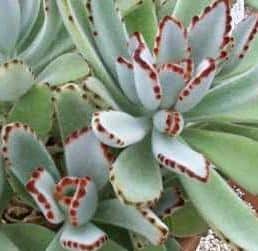 Some Kalanchoe species are so easy to multiply and grow they are given the name “Mother of Thousands” or “Mother of Millions”, because their pups or plantlets are known to easily root and grow almost anywhere they land. Native to Southern India, East Asia and Australia, hoya plants are known for their thick, almost heart-shaped leaves and vine-like qualities. Hoyas are also known as the Hindu Rope or Wax Plant. Not all hoya species are succulents, but some are. These plants do not need direct sunlight. Most do well in partial shade and need protection from intense heat as well as frost. They are typically grown in hanging baskets as indoor plants. Sansevieria (Snake Plants, also known as Mother-in-Law’s Tongue) have long, slightly windy leaves that point upwards. The leaves are mostly green, but some varieties have yellow edges. These plants make excellent starter plants due to their ability to tolerate neglect. They prefer low to medium indirect light, making them suitable as indoor plants. Although they tolerate low light, bright light brings out the true color in their leaves. They do need to be protected from intense sun to prevent sun damage. 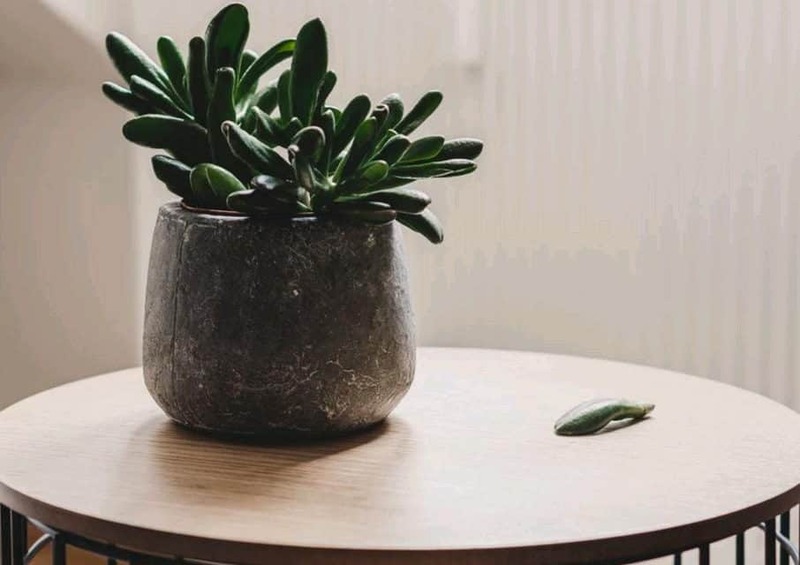 Snake plants are known to help purify the air by removing formaldehyde and benzene toxins from the air in your home, making them a popular indoor plant. . Like most succulents, snake plants do not like to be overwatered and do not like sitting in water. Given the proper environment for growing, snake plants can live for years and can grow up to five feet tall. Native to Brazil and the highlands of South America, Parodia Haselbergii can survive in the shade and low light conditions. They prefer bright sun to thrive, with protection from intense heat. Parodia Haselbergii range in size and can be solitary or form clusters. Grayish-green in color, they produce bright orange or yellow flowers. Update: We’ve added where to buy an Scarlet plant in our resource page. These plants are easy to care for and require little watering. They are forgiving plants and will tolerate low light conditions. They generally need bright light but can tolerate medium to low light even for half of the year, making them ideal houseplants. They need a fast draining soil, and because they store water in their trunk, it is important to let them dry out in between watering and to not let them sit in water. Rebutia is one of the most popular cacti genus in cultivation and can be found almost anywhere in the world. They are native to Bolivia and Argentina. They are generally small, globular, but can form large clusters. 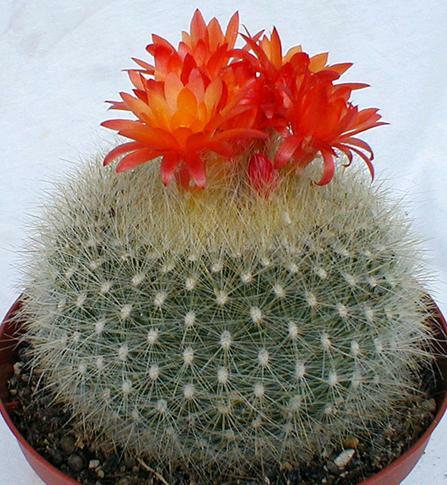 They freely produce flowers that are very showy and bright and are usually large compared to the body of the cactus. 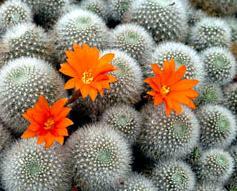 Rebutia are considered easy to grow and some species can tolerate low light and shade. Update: We’ve added where to buy an Rebutia plant in our resource page. You may also find my post on this related topic helpful: “How To Grow Succulents In The Office, Indoors, Or In Low Light”. 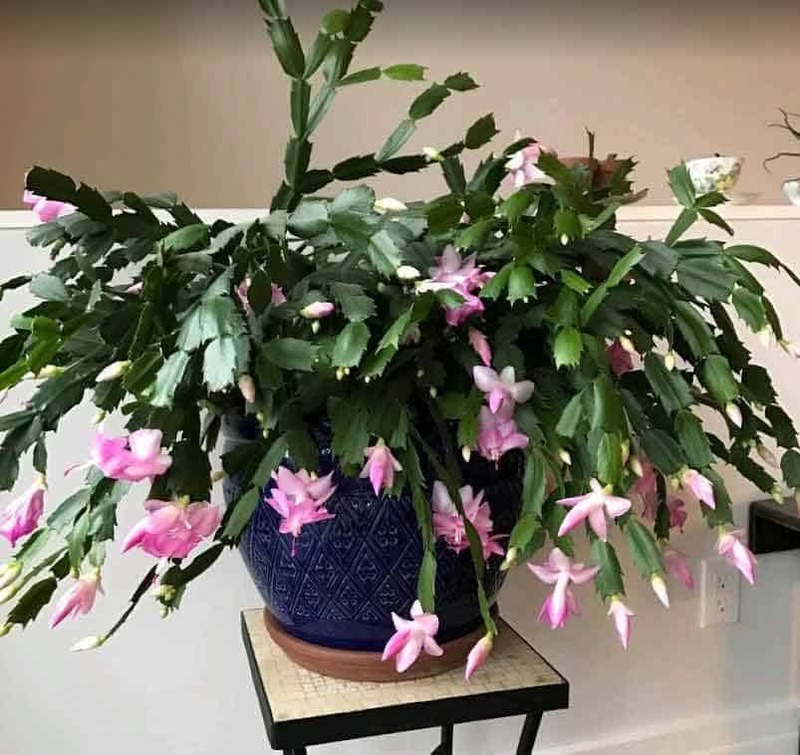 If you are wondering where you can purchase succulents and cacti online, please check out my Resource Page to get some ideas. For recommendations on grow lights to help improve indoor lighting conditions, please click on Indoor Succulent Care Resource Page. Pin this now to save for yourself later or share with others!